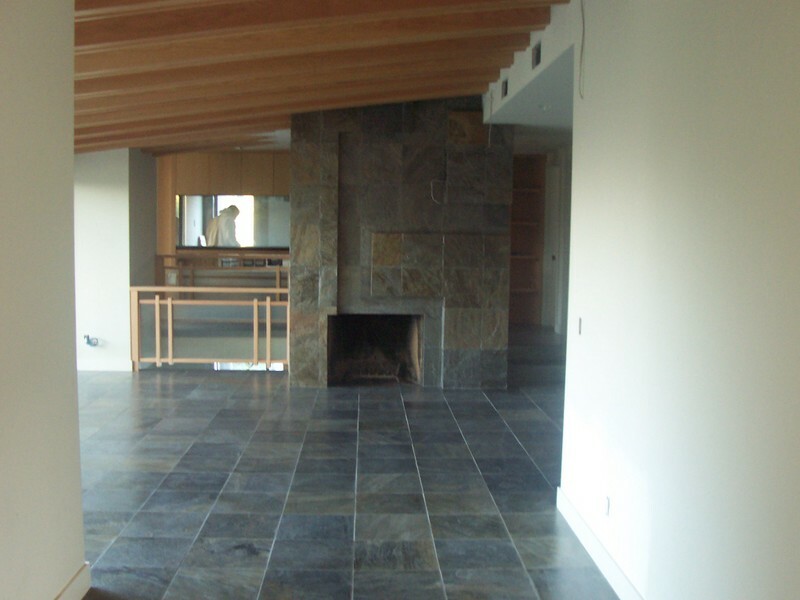 The tile images you see on this page are of projects by The Tile Guys of San Diego CA. If you are interested in an estimate from The Tile Guys, call them at 760-525-5768. The tile video at the bottom of the page is by Floor & Decor Outlets. If you are outside the San Diego area and need a tile contractor, check our contractor listings. 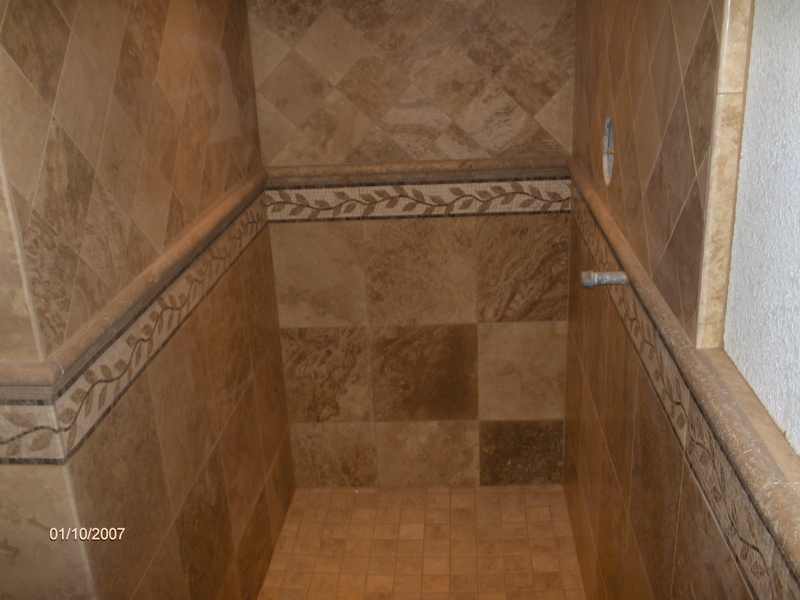 Travertine is often used in custom tile showers. Notice the decorative tile used to break up the different patterns. Also note the plumbing fixtures are not installed. Delaying your tile also means delaying your plumbing trim. Stay on top of your schedule. 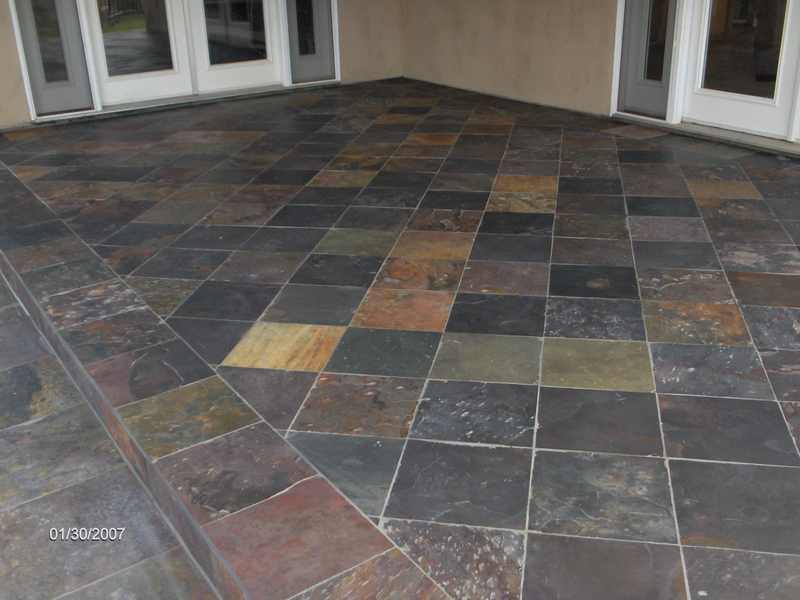 Slate tile is versatile and can be set inside or outside. Because stone is porous and often stains it should have a sealer applied to protect it from spills and the elements. Slate complements a rustic themed home very nicely. 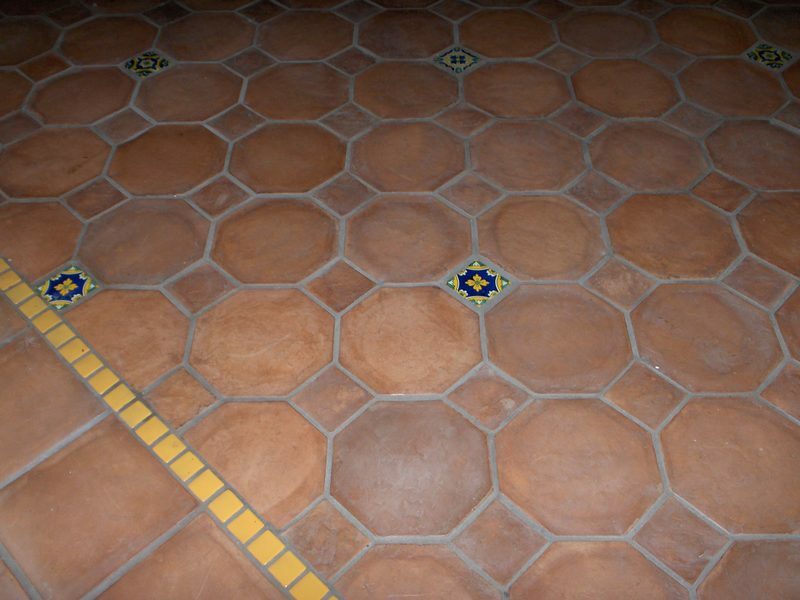 Saltillo is another example of a tile that complements a rustic finish, particularly a southwest adobe style finish. This particular pattern is more detailed than most. Saltillo is a Mexican product made of clay and baked in the sun. Many steps must be taken before tile is set. The owner builder process begins with Preconstruction Planning. Thanks to The Tile Guys of San Diego, for allowing us to post their job photos to our site. If you are interested in discussing an estimate with them, please call 760-525-5768. Also, a shout out to Floor & Decor Outlets. If this video interests you, visit their You Tube channel. They have more than 40 videos related to all types of flooring.